Are you ready for Christmas everyone? 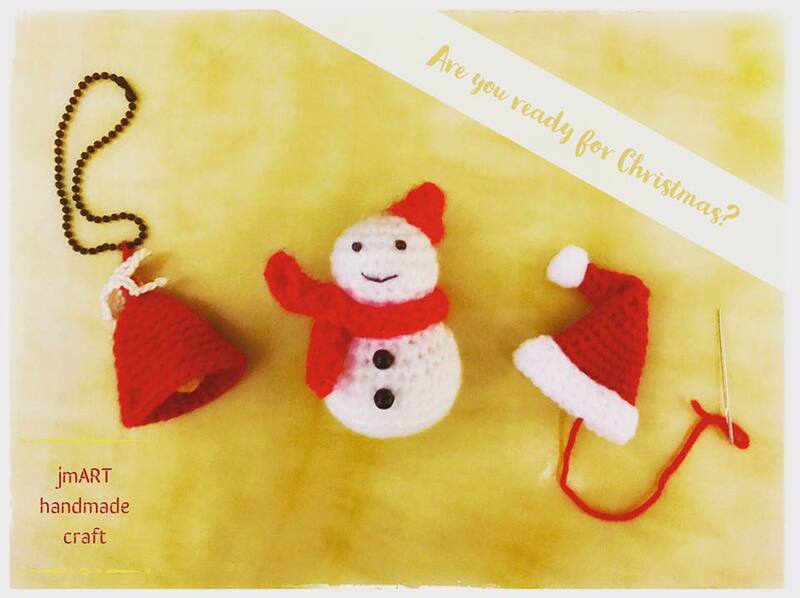 Do you want to crochet your own ornaments instead of buying the standard ordinary one in shops? Here I gonna share with you my patterns of the mini cuties in the photo. And first, let me share with you the simple Christmas hat! A hat shape is formed. Turn it to the other side and continue to crochet the folded white part. Add a red yarn at the tip of the hat. Sew a little white pom pom on the tip. Next, fold the hat to around Row 5 (or any row you prefer, depends on how much you want the hat to bend). Let the yarn pass through the tip of the hat to the same row. Sew it along the edge and cut the extra yarn. A red Christmas Hat is done! Yay~ Merry Christmas!